Did you know that pets can suffer from heart problems? Moreover, unfortunately, it is usually a much more common problem than you think. As in people, the cardiovascular system in pets can malfunction, so the early detection of any heart condition that can lead to heart disease is essential. 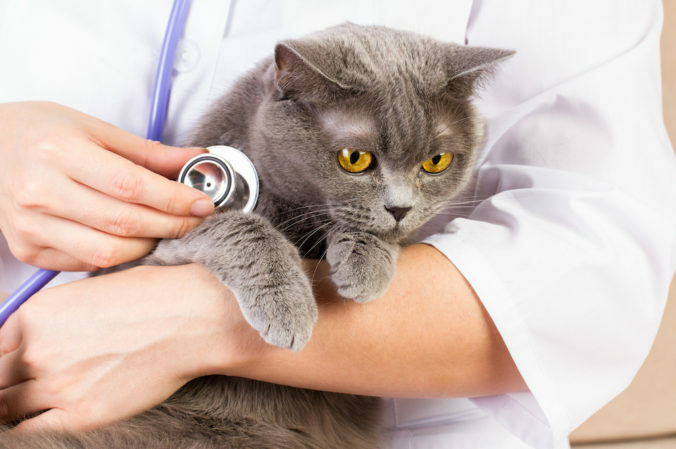 ¿What are the most common heart diseases in pets? The incidence of deaths from heart disease in domestic animals has been increasing in recent years, being, in most cases, an acquired condition. In dogs, some common heart disorders can be identified, such as heart vascular problems, a condition in which the valves weaken and begin to leak blood; pericardial disease, in which the protective sac of the heart fills with fluid; myocarditis, in which inflammation of the heart occurs due to a bacterial infection; arrhythmia, which alters the heart rhythm; and the disease of the heart parasite, which is transmitted by carrier mosquitoes. For their part, cats also have heart problems, with hypertrophic cardiomyopathy being the most common condition in them, consisting of the thickening of the heart walls. Other diseases, such as aortic stenosis, also cause thickening of the ventricular wall, while systemic hypertension, consists of a persistent elevation of feline blood pressure. It is possible to identify different signs in pets that can give us light regarding the presence of a problem in the heart. In general, animals that have heart problems have difficulty breathing normally. In them, the frequency of breathing increases during the nights so it is convenient to check your breathing index. Persistent cough is another sign that can indicate a heart problem in the pet. This symptom is usually manifested in dogs because cats do not cough when they have some disease in the heart. Any fluctuation in the weight of the pet can also be an indicator of a heart problem. Whether it manifests a weight loss or an increase in body weight, it is necessary to turn on the alerts and take it to a review with the veterinarian. A persistent agitation or reluctance to perform physical activity can indicate a problem in the heart of the pet. Many times, we may notice that the animal is shaken very fast after a short walk or that it resists running. Identifying as soon as possible any suspicion of heart problem in pets is fundamental to improve the quality of life of pets. If you are alert and have detected some of the indicated symptoms, take it immediately to a veterinarian specialized in cardiology, who will perform the necessary exams for an accurate diagnosis.